The Sabre® global distribution system (GDS) is the world's largest travel marketplace. We are a primary component for travel and transportation information for more than 350,000 travel agents, major travel suppliers, Fortune 200 companies and OTAs around the globe. We bring your brand to the highest-volume, highest-yield clients. We then provide you with unlimited merchandising and marketing opportunities and smart business solutions. With the Hotel Rate Assured™ hotel certification program, you can show your commitment to the agency channel. The program assures Sabre ConnectedSM agents that they are receiving the same publicly available rates inside the GDS that can be found on travel websites. This helps establish a strong partnership between the company, travel agents and hoteliers. By giving agencies access to all content they need, we can generate more hotel bookings in this efficient, high-yield channel. Sabre® Direct Connect (DCX) uses XML technology to provide connectivity to the Sabre GDS. Hoteliers will benefit from the new XML formatted data exchange by replacing EDIFACT messaging formats. DCX ensures travel agencies have accurate rates, instantaneous updates of hotel availability and a simplified shopping process. It also enables hotel marketers to have optimal control over their inventory. Our Hotel Total Pricing feature delivers a complete picture of all room costs, including taxes and fees. Participating suppliers can be confident that agents and travelers have an accurate picture of all room costs, improving customer service. We make it easy for hotel marketers to learn about their travelers so they can provide tailored solutions. Drive more business by customizing special offers for specific traveler segments. Custom Offers for hotels allows you to reach travel agents with immediate, targeted offers and content. This merchandising product is a first-of-its-kind in the industry for suppliers sending special offers that display on the agent's screen. Sabre® Media Solutions offers you an integrated multi-channel marketing program reaching all travel buyers on channels vital to the hotelier. The Sabre Media Solutions portfolio allows you to build and execute measurable and targeted marketing campaigns-giving you multiple opportunities to reach, influence and target travel agents who work with travelers everyday! Reach these valuable customers at key points in the travel buying cycle and provide a unique message at each point. The Hotel Spotlight® program offers preferred placement on the Sabre system that travel agents use to shop and book hotels. 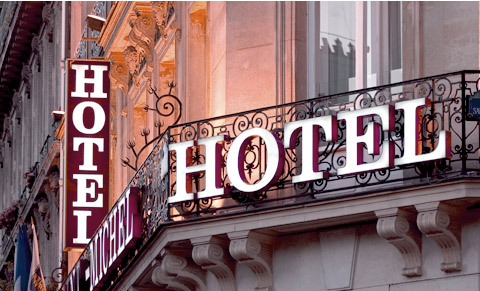 Increase revenue by positioning your hotel in front of travel agents conducting almost $10 Billion in room revenue per year. As agents search for hotel availability in your market, your property is displayed along with hundreds of other properties. You can increase your visibility to agents, and significantly raise the probability of getting booked, by displaying your property within the first page with Sabre Hotel Spotlight.